As you can see, a wide variety of styles include this simple-yet-effective chord progression: from rock and roll, to punk rock, disco music, heavy metal, power metal, glam rock… the list is huge! The answer lies, as Brahms said, in the bass: the motion of these roots generates a Descending 4th’s Progression (1 – V; VI – III; IV – I) which sounds good because of the logic pattern it suggests to our ears. Just check it out by listening to the cello part again at the beginning of the ‘Canon in D’! Even when the pattern is interrupted when moving from IV to V at the end of the progression, it sounds good due to the authentic cadence pattern it creates when you repeat the progression: IV – V – I (being I the beginning of the progression all over again). This chord progression just had all the elements that make it harmonically effective! That’s it! You just created a Pachelbel Progression to compose or improvise over! 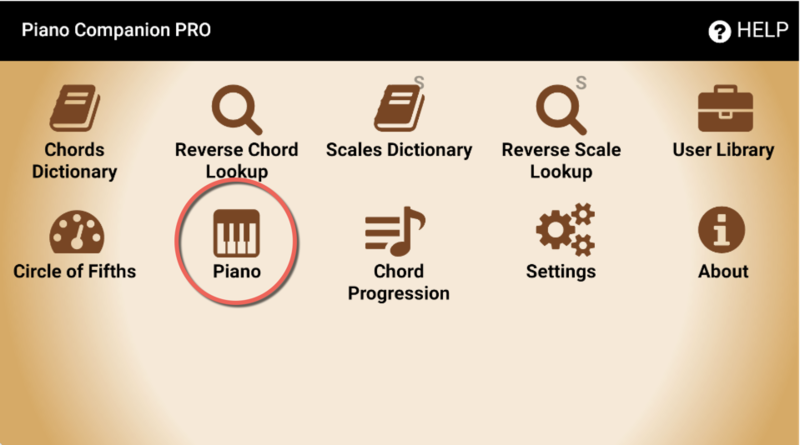 In our first post we were talking about the names of notes, it’s placement on keyboard, Major scale construction method and how “Piano Companion” application can help you in memorising all these musical things. Today, we are going to discuss how to build a Minor scale using the same method as we used for a Major scale creation. 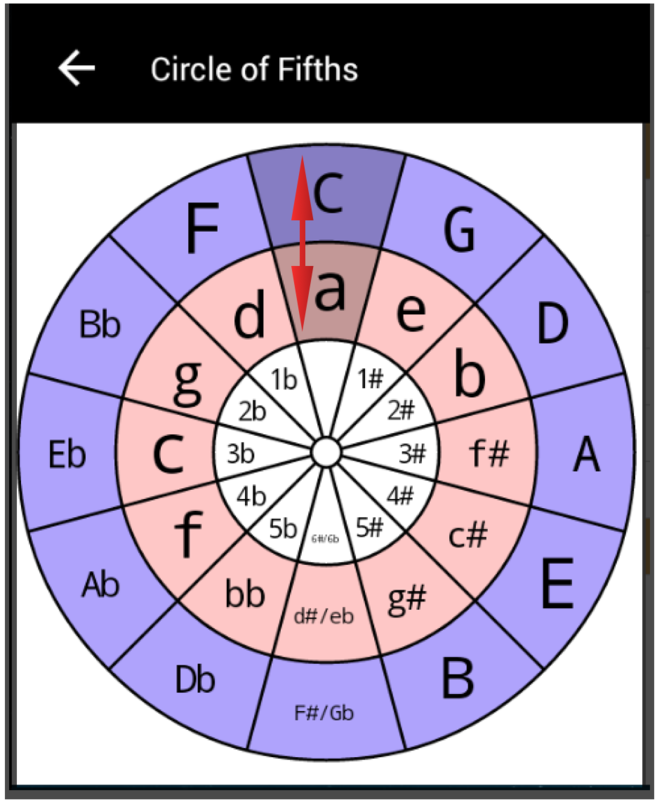 We will also introduce a very handy tool – “Circle of Fifths”. Purple section – It represents Major scales. Peach section – It represents Minor scales. White section – It represents sharps and flats that each of these key has. Can you see that a letter “A” is underneath a letter “C”? You can also see that there is a white section underneath both letters “C” and “A”. Basically, that means that a “C Major scale” has no sharps and flats, as well as “A Minor scale” has no sharps and flats too. This is exactly what we were looking for, isn’t? The same rule applies to other letters of the circle. According to the picture, it’s clearly seen that a “G Major scale” has 1 sharp as well as “E Minor scale” has one sharp too. A “D Major scale” has 2 sharps, whereas a “B Minor scale” has 2 sharps as well and etc. 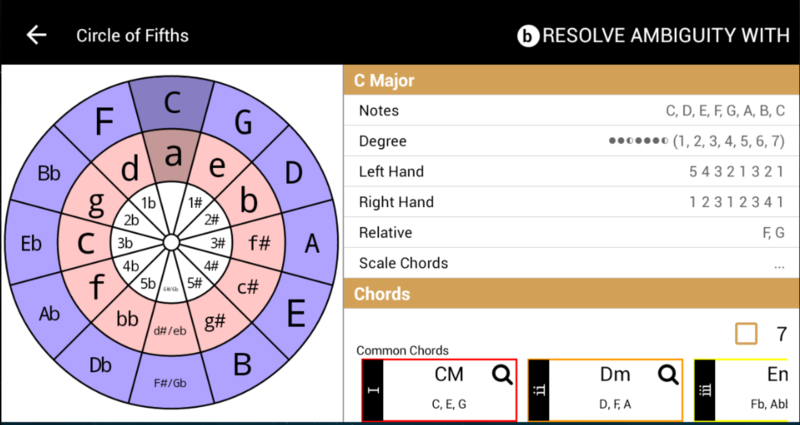 Now you can tell for sure, that a “C Major scale” and “A Minor scale” has all the same notes, only the root note/ starting point is different. These scales are called “Relatives”. 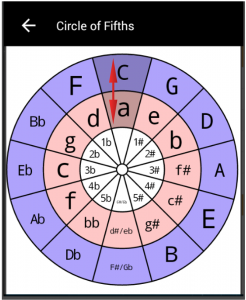 So, if you ever want to find out which Minor key has the same amount of sharps or flats as your chosen Major scale (and opposite), you can always use a “Circle of Fifths” as your guide. 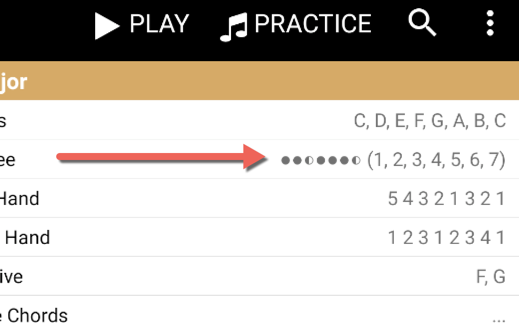 Cool, now we can confidently tell that the specific note order is 2-1-2-2-1-2-2, which is the order/pattern of gaps/steps that applies to any Minor scale. With this pattern you will be able to create any Minor scale! Half coloured circles – represent 1 semitone. That means if you forgot the specific sequence of intervalic gaps for “Ionian” or “Aeolian” scales, you can always refer to this “circle pattern” because it is equal to the“numeric pattern” of “2-1-2-2-1-2-2” or “2-2-1-2-2-2-1”. That is all for today and If you find our articles useful, just keep an eye on our blog, as this is just a beginning. New posts will be added frequently. Keep on doing music! If you are willing to be a musician and want to express your own ideas and feelings, it is really essential to learn at least some basics of music theory. Especially if you are thinking about writing your own songs and musical compositions. For many people who has never been a musician, a “Music Theory” sounds scary and seems complicated at the first glance, but in a reality it isn’t, depending on the way it’s presented of course. Luckily we are living in the world of technology and have so many tools, resources available, for such an easy learning of anything we want to. A Piano Companion is a wonderful application that will make your music learning process as simple as possible, without a touch of any musical instrument or even a computer. All you need – is just your phone or your tablet. Here at Songtive Blog, we will attempt to explain a “Music Theory” subject and how a “Piano Companion” can help those of you, who have never learnt or have just a little knowledge of music theory, but really would like to give it a try and improve own musical/composition/songwriting skill. Shall we start our trip into the world of music? Please choose a “Piano” button to open the keyboard. As you can see, each key has a letter and those letters are the real names of the notes. There are only 7 letters/notes that you need to learn in this specific order: C-D-E-F-G-A-B. This pattern repeats again and again throughout the entire keyboard: C-D-E-F-G-A-B-C-D-E-F-G-A-B-C an etc. Now, if you press the keys in this order, you will actually hear what we call a C Major scale. 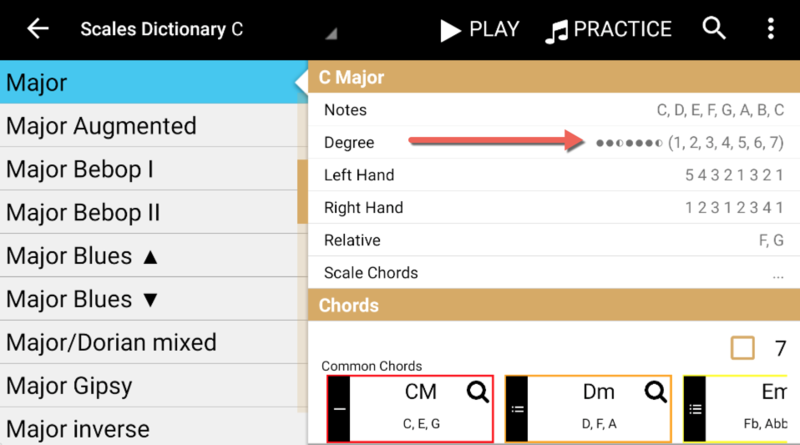 Note “C” itself and a “C Major scale” are the starting points for beginning of learning a music theory. You may have a question in your mind, why is this specific order which starts from the note “C” is called a “C Major scale”? To provide you with the answer to this question, we need to explain what the music scale is, isn’t it? 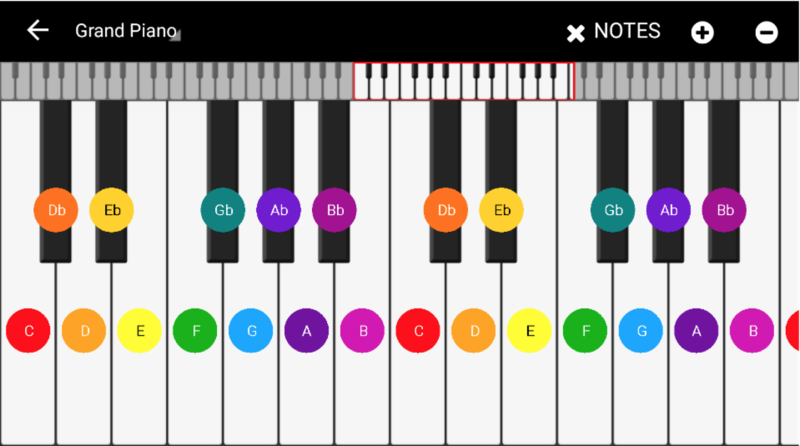 In simple words, a music scale is a melody that consists of 7 notes (actually 8 notes, but the 8th note is always the same as the 1st note) but always arranged in ONE SPECIFIC ORDER. Don’t be afraid, everything is not that complicated as it may sound! Have a look at all the white keys on the keyboard! 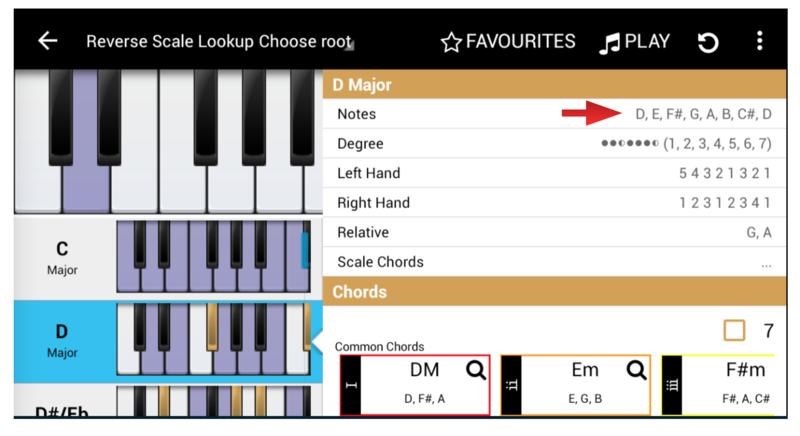 One again, If you start on the “C” note and press white keys one by one, going from the left to the right until you reach a “C” note, this will be that SPECIFIC ORDER for a “C Major scale”. This order will help you to create any major scale in the future, but we will talk about that later on. To create our “C Major scale” we had to leave out all the black keys. But these keys actually represent the necessary gaps to achieve this beautiful sound. From the picture above, you can see that there is a black key between “C” note and a “D” note, the same applies to “D and “E”, or “F” and “G” and etc. These gaps between keys are called “tones” and “semitones”. We can also call these gaps as “steps” to make it easier for understanding. For example: 1 semitone is one step between each key, whereas 1 tone = 2 semitones or two steps between keys. Let’s say we want to calculate how many steps there are from the “C” note to “D” note. Looking at the keyboard, it’s clearly seen that a journey from “C” (white key) to “D” (white key) first brings us to the black key in the middle. This is the first step/semitone. Then we arrive at the white D key, which represents another step/semitone. All this means that there are 2 steps/semitones between the “C” note and “D” note. If you check your keyboard carefully, you will detect that most of the notes from the “C Major scale” have gaps of 2 semitones. But here is only 1 step/semitone between the “E” and “F” note, as well as between “B” and “C” because these are not separated by a black key. 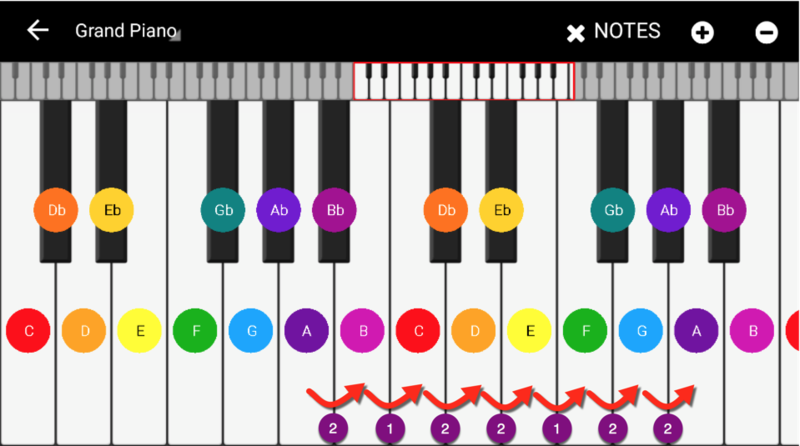 All you need to do, is just to calculate the gaps between each note/letter of the scale. Once you’ve done it, you will end up with these calculations: 2-2-1-2-2-2-1. THIS IS THE SPECIFIC PATTERN/ORDER for any Major scale. 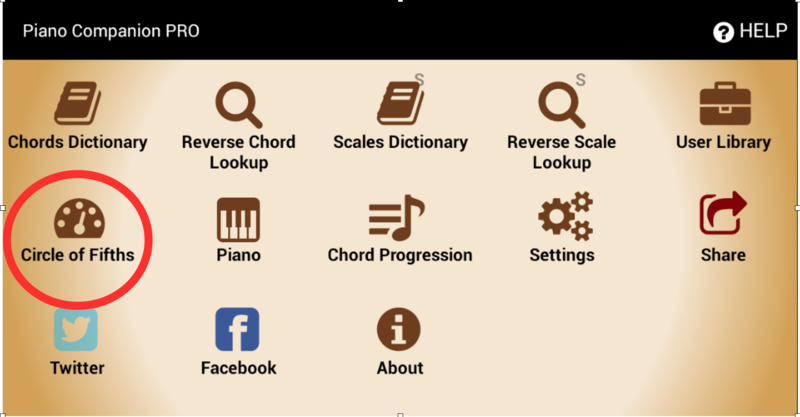 You can use it to create any Major scale starting from any note that you want. So, let’s practice by creating a “D Major scale”. It will be very useful if you take a piece of paper and write the 8 letter/note progression on a piece of paper, starting from “D” and going up until reach a“D” again. This would look like: D-E-F-G-A-B-C-D.
Great! Let’s start from a “D” and according to the order, our next note of the scale will be 2 steps/semitones away from the starting point. That means If we start from “D” and go up with 2 steps (the first step will be from D to black key D#, the 2nd step will be from D# to E), we reach our destination–note E. Relying on the 2-2-1-2-2-2-1 order, the next step you need to make consist of 2 semitones too. From the note E we need to go up with 2 steps, which makes our destination F#. Please complete all the steps until you reach your second “D” note of the scale. 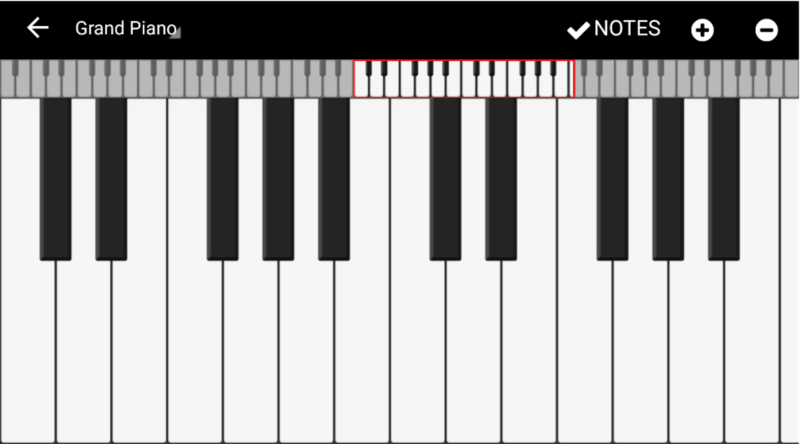 You can check yourself by playing the notes that you’ve written down. Can you hear that the scale sounds like a major? 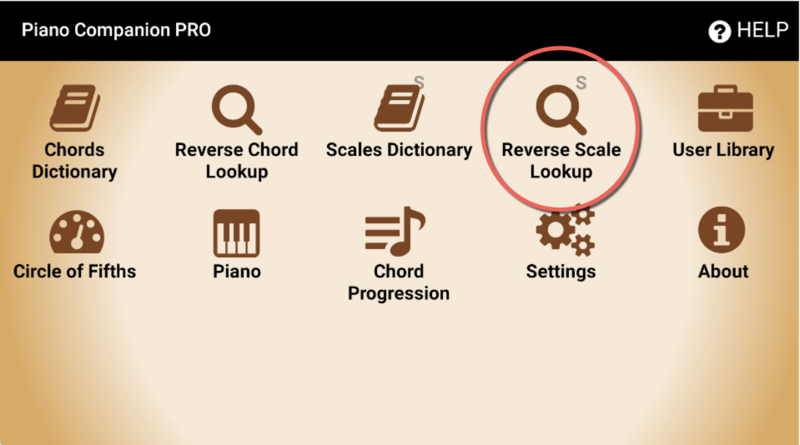 If you are not sure, you can close your piano roll for a while, go back to the main menu of Piano Companion and choose “Reverse Scale Lookup”. 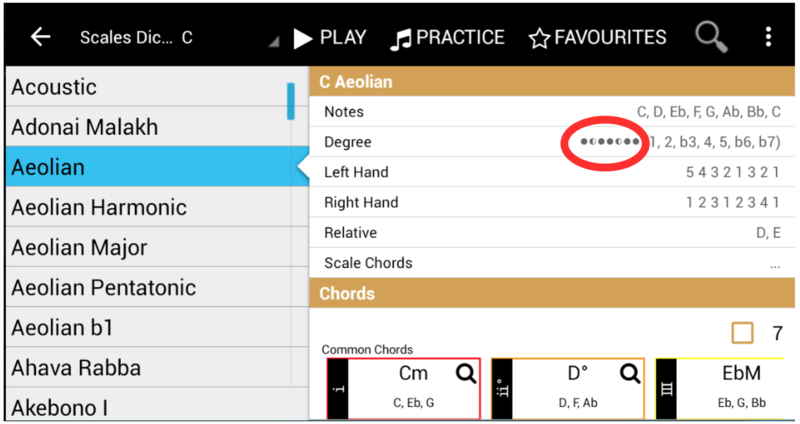 Now, you can compare what notes have you written down for the “D Major scale” practice exercise and what the actual notes are. But we really hope that the information that we’ve provided for you today, was useful and your exercise was completed successfully. The huge benefit of knowing how to create music scales, is that once you have created a music scale as well as selected the notes which you will be working with, you can never go wrong if you use this 7 notes of the chosen scale, in your own songs/compositions.